Isao Mazumi 1971 18 72 7016 25 minutes from downtown. 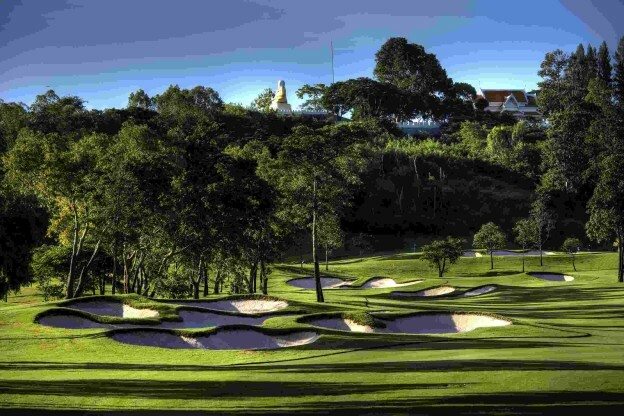 The oldest golf club in the Pattaya area, this international standard championship golf course is situated amidst natural beauty and terrain, the course was completely rebuilt in 2006 and all the facilities were upgraded. The renovation of the golf course has kept the same layout but completely rebuilt the rest of the golf course from tee to green with a continuous cart path. The renovation works bring Siam Country Club to a truly international championship standard and one of Thailand’s best, the LPGA Asian tour chose Siam Country Club, Old Course, to h.ost the Honda Classic in 2007 a true testament to an outstanding golf course. The clubhouse facilities have also received a completely new face lift to a new modern, relaxing atmosphere overlooking the 18th green.